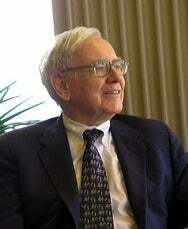 Savvy billionaire super-investor Warren Buffett is the latest to chime in on Steve Jobs’s “secret” liver transplant. (Coincidentally, my band, Secret Liver Transplant, is playing tonight in Boston—you should all drop by). In an interview with CNBC, the full transcript of which is available on the network’s “Warren Buffet Watch” blog—its goal, apparently, is “Keeping Track of America’s Billionaire Next Door,” I suppose in case he gets absent-minded and wanders off—Buffett had the following to say about Jobs. Certainly Steve Jobs is important to Apple. So it’s a material fact. Whether he is facing serious surgery or not is a material fact. Whether I’m facing serious surgery is a material fact. Whether (General Electric CEO) Jeff Immelt is, I mean, so I think that’s important to get out. They’re going to find out about it anyway so I don’t see a big privacy issue or anything of the sort. The old, country Buffett does not use the term “material fact” lightly—that’s actually a regulatory term referring to those details publicly-traded companies are required to disclose to investors. Meanwhile, others have argued that Apple and Jobs did their duty by announcing Jobs’s medical leave of absence back in January. And, of course, among the directors of Buffett’s Berkshire Hathaway—whose Web site, incidentally, looks like it dates from about 1947; go ahead, look. I'll wait...right?—lurks the investor’s longtime friend and fellow billionaire, Bill Gates, suggesting that perhaps—aw, never mind. You know, Bill Gates’s retirement has taken all the fun out of concocting conspiracy theories centered around him. Still, the most perplexing issue here is the fact that CNBC has an entire blog devoted to watching Warren Buffett, as though he might suddenly decide to rampage through downtown Tokyo, buying companies left and right.